Can your company attract the best? Those who join for the right reasons, join for the right opportunity. That may sound like a ‘wise man once said’ quote but it’s absolutely true. 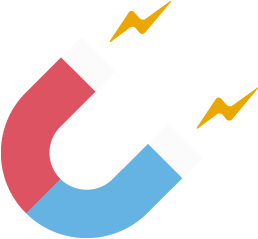 To find out if your vacancies are truly capable of attracting the very best talent, use our highly recommended Super Duper Fantastical Quantum Talent Magnet Machine – I’d buy that for a dollar! The Super Duper Fantastical Quantum Talent Magnet Machine, known the world over as SDFQTMM for short, is truly ahead of the cutting edge of the curve of the future of tomorrow. This never before seen technology actually splits your vacancy’s key features at the molecular level into ‘Career Benefits’ and ‘Fuzzy Benefits’ detailing the must have essentials alongside those mouth watering desirables that together make your opportunity what it is. It takes just 30 seconds to select your key features and a second more to hit, ‘Can I Attract the Best?’ and Voila! Instant feedback on the pulling power of your vacancy. For further advice, call us today! Do you have an onsite pool table, games console or theme park? 73% of candidates we asked said that a fun working environment with recreational activities would contribute towards their decision to join a company. 57% of candidates we asked said that finishing early on a Friday is a big perk! Simply select the benefits you offer and click the “Can I Attract The Best?” button to find out how you compare to other employers! We hope this page has given you a few idea's. Get in touch today and we can help you in your search for candidates! Get in touch today, we will help you bring in the best! Get in touch, we can boost your team today! Get in touch and we can work together to bring you the best talent the market has to offer! Do you have more benefits? How to get the most skilled employees to work for you.